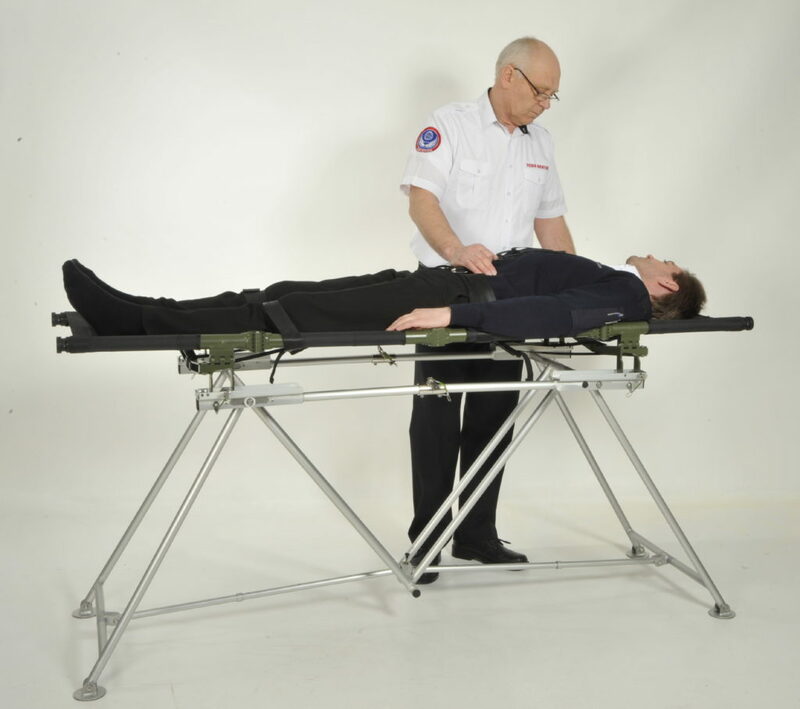 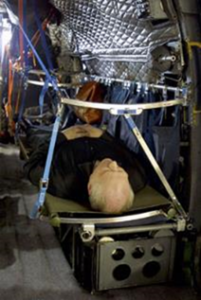 The main characteristic feature of the TSS is its compliance with NATO Stretchers and its ease of repositioning the patient into multiple angels. The TSS, although foldable and lightweight, is, due to its construction, able to fully secure a NATO STANAG 2040 stretcher while positioning the patient in multiple angels both head up and head down. 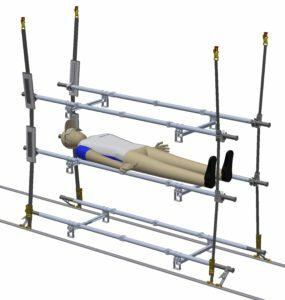 This enables examination and even surgery of a patient close to the site of the accident or point of wounding while improving the working position for the medical crew without the need for transferring the patient to other more specialized and heavy surgery tables. 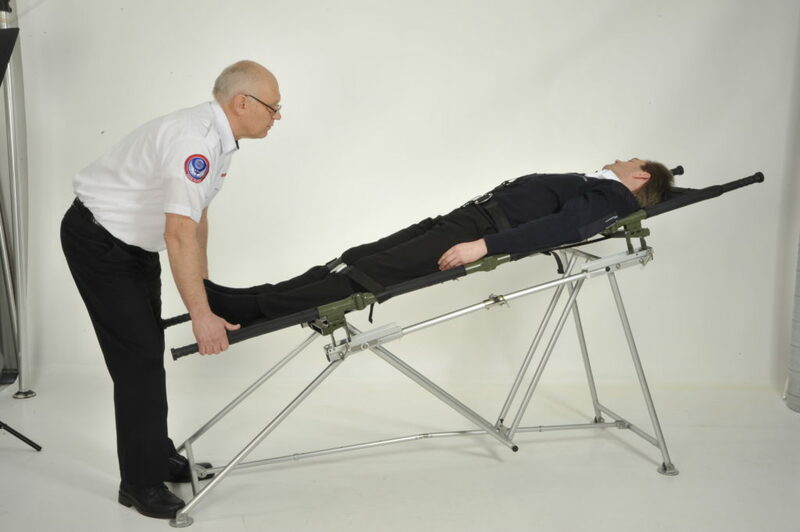 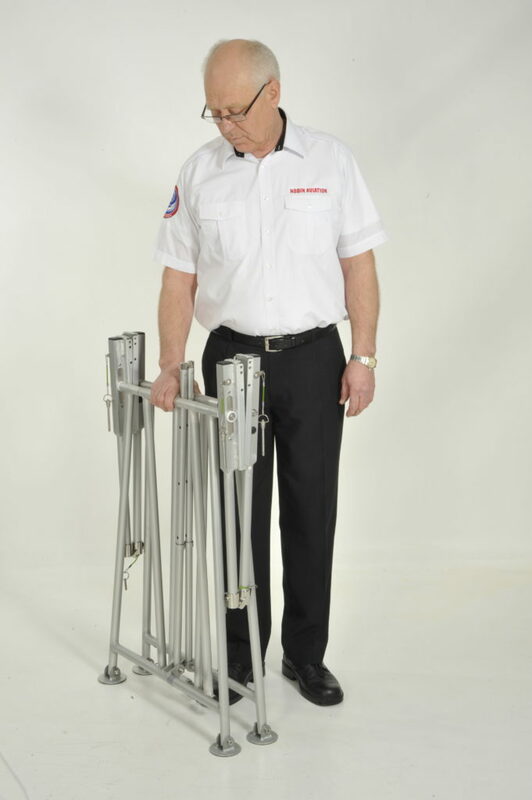 Typical Stretcher Stands used presently are fixed, not able to adjust the angle, and mostly at a low height causing awkward working position for the medical personnel. 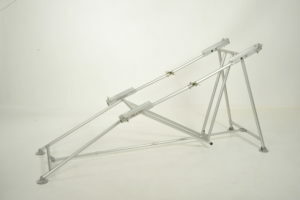 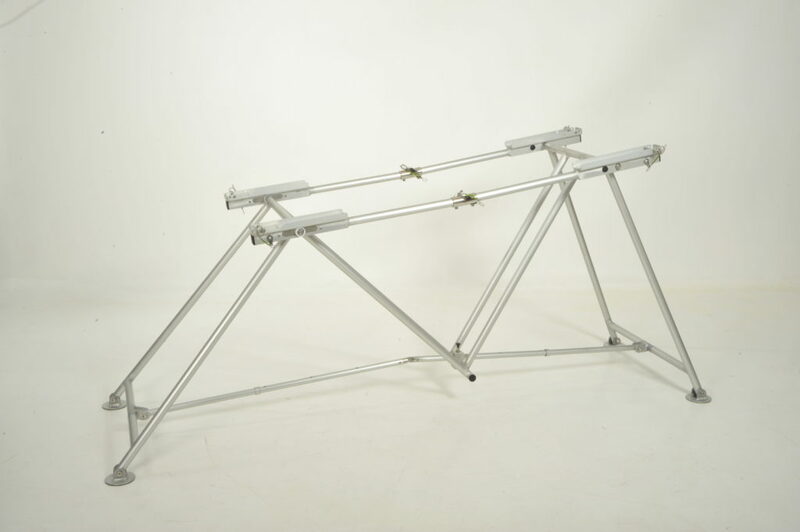 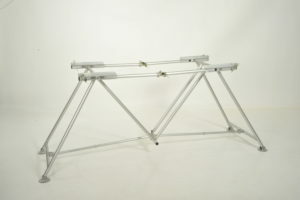 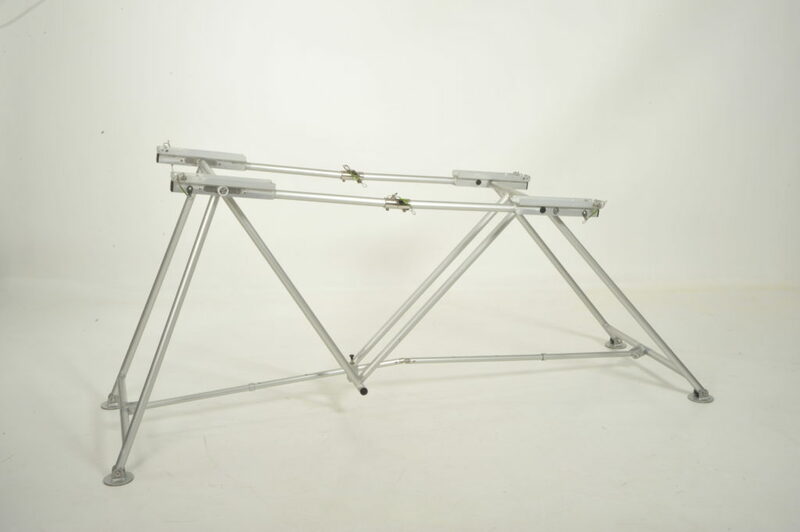 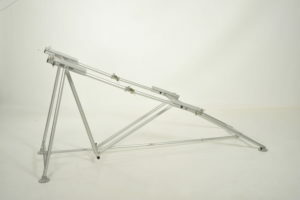 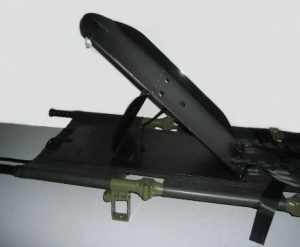 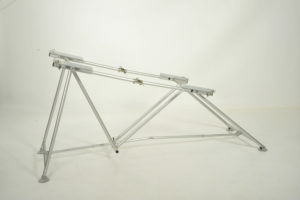 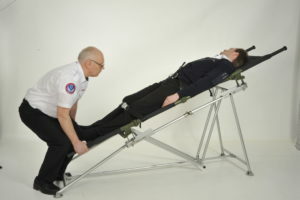 The Tiltable Stretcher Stand has a unique construction, enabling medical personnel to position a field stretcher with a patient in multiple angles to ease access during surgery, increase an effect of autotransfusion, ease breathing for patients with airway or breathing problems or reduce pain for the patient. 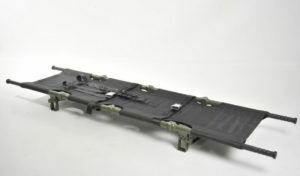 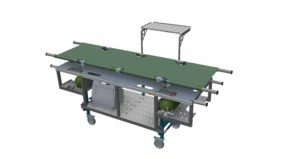 The TSS is primarily developed to be used in first-line medical facilities, typical military field hospitals, assesment units or temporary hospitals, where patient are expected to be received on military field stretchers and where the equipment are to be deployed when needed. The foldable properties of the TSS also enable the TSS to be well suited for easy transport into the field, e.g. 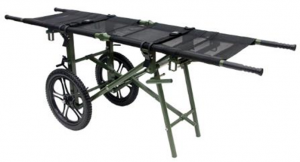 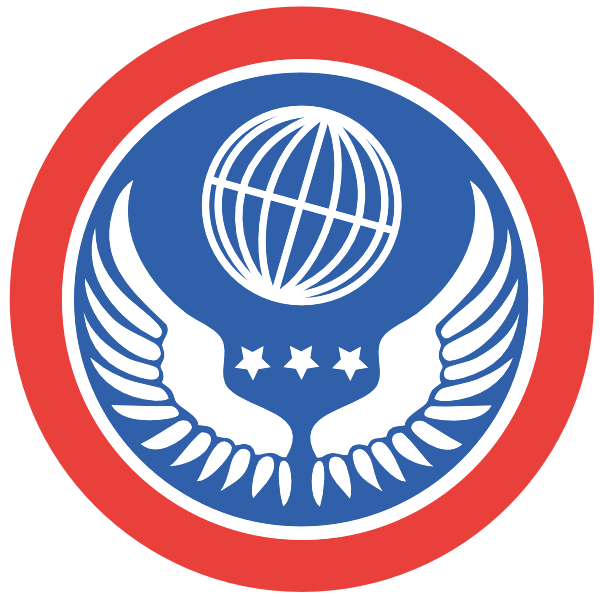 for military use in medical evacuation or similar situations. 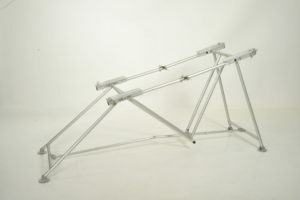 When folded the TSS is easy to handle and may easily be stored in a vehcle or carried by hand. Assembled within a minute without any tooling and the folding procedure is just as easy.